Longhouse Dialogues is a Women Deliver sanctioned side event being organized by BCCIC. It will consist of a series of dialogues happening from Friday, May 31 to Wednesday, June 5, 2019. This will complement the Women Deliver conference and be inclusive of the voices of young, local and Indigenous people. Through the Longhouse Dialogues, we are offering an accessible unique village-like atmosphere for the informal and formal gathering of the delegates, public and Indigenous peoples. The program will build global solidarity and understanding of the shared concerns and possible strategies for addressing the challenges that face women worldwide. 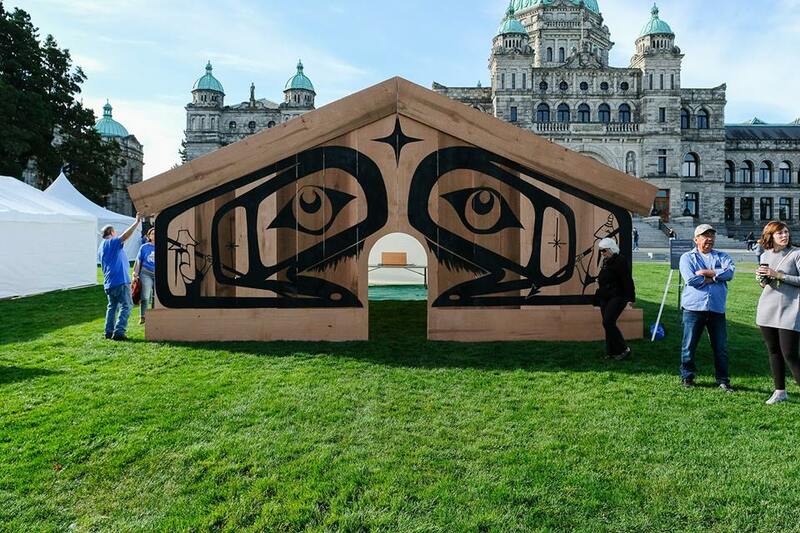 Four non-permanent Longhouses (in the style of the Coast Salish, Nuu-chah-nulth, Kwakwaka’wakw and Pacific Island peoples) will be erected at the site. These Longhouses will provide a backdrop to a series of timely and exciting events and dialogues that will explore pertinent issues to women and girls in BC, Canada, and globally, linking these issues back to the UN Sustainable Development Goals (SDGs), especially SDGs 3, 4, 5, 8, 10, 13, and 16. Key partners include Pacific Peoples’ Partnership, Inter-council Network, the Women Deliver Mobilization with support from the city of Vancouver and the Parks Board. BCCIC is looking for a qualified volunteer to play a key role in supporting BCCIC’s Longhouse Dialogues. The volunteer will assist with the preparation of the logistics on site and will work as part of the BCCIC Longhouse Dialogue Planning Team. The BCCIC Site Logistics Coordinator will report directly to the Steering Committee of the Longhouse Dialogues. The Site Logistics Coordinator will begin volunteering with BCCIC as soon as possible until the end of the event on June 6, 2019, with one post-event debrief to follow. Volunteering with BCCIC is flexible but please do include the time commitment you are able to make within the body of your statement of interest. BCCIC is looking for a qualified volunteer to play a key role in supporting BCCIC’s Longhouse Dialogues. The volunteer will assist with volunteer coordination and will work as part of the BCCIC Longhouse Dialogue Planning Team. The BCCIC Longhouse Dialogue Volunteer Coordinator will report directly to the Steering Committee of the Longhouse Dialogues. The Volunteer Coordinator will begin volunteering with BCCIC as soon as possible until the end of the event on June 5, 2019. Volunteering with BCCIC is flexible but please do include the time commitment you are able to make within the body of your statement of interest. BCCIC is looking for a qualified volunteer to play a key role in supporting BCCIC’s Longhouse Dialogues. The volunteer will assist with communication strategy and will work as part of the BCCIC Longhouse Dialogue Planning Team. The BCCIC Communication Volunteer will report directly to the Steering Committee of the Longhouse Dialogues. The Communication Volunteer will begin volunteering with BCCIC as soon as possible until the end of the event on June 5, 2019. Volunteering with BCCIC is flexible but please do include the time commitment you are able to make within the body of your statement of interest. Deadline to express interest is April 8, 2019, at 11:59 PM. Successful individuals will be contacted to organize a brief interview at the BCCIC office or via video conference.